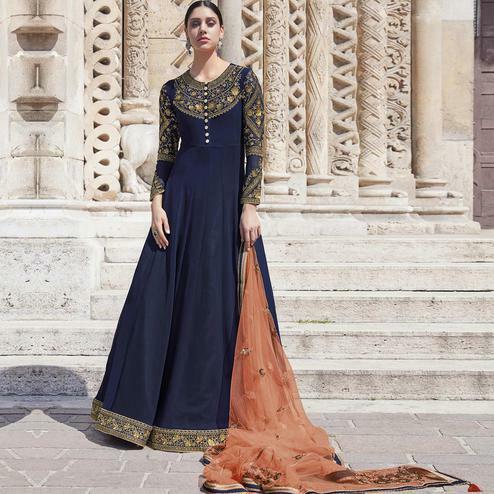 Set your own style trend with this brown floor length anarkali suit beautifully decorated with floral embroidery work done at the body and sleeves. The yoke and bottom part of the kameez has got multicolored floral motifs that enhances the look along with lace border at hemline. The suit comes along with pure santoon fabric lining and bottom and bemberg chiffon dupatta having golden lace border. It's a great outfit to buy for parties functions and occasions.